President Trump’s threat to pull the United States out of the Iran deal has spurred several transatlantic meetings between State Department officials and their European counterparts. 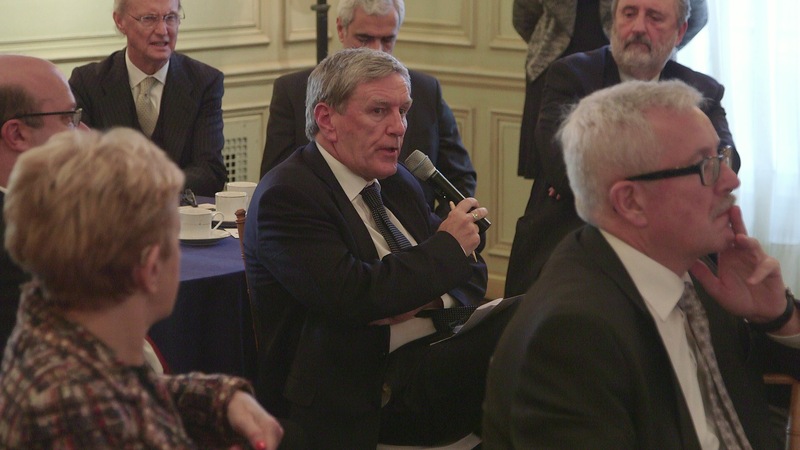 Talks have already taken place this year in London and Paris with a third meeting set for this month in Berlin. Officials from France, Germany and the United Kingdom are urgently trying to keep the agreement not by rewriting it, but by developing a successor deal with the aim of terminating Iran’s ballistic missile program and cementing restrictions on Iran to produce nuclear fuel. 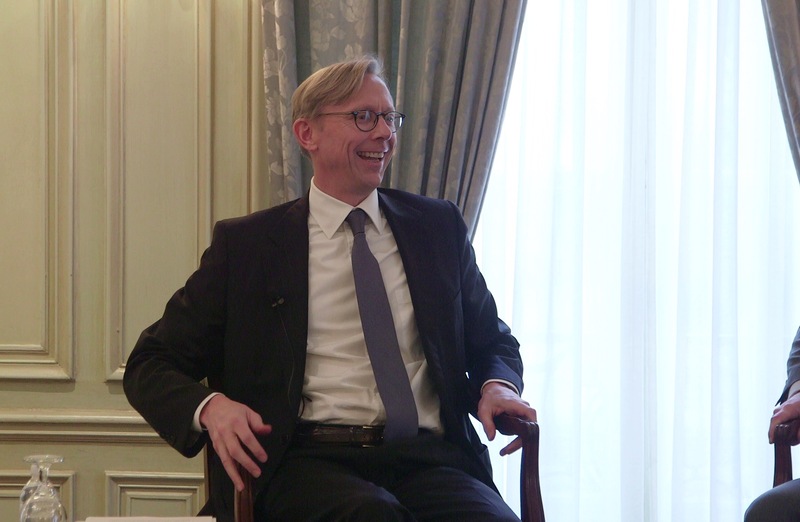 Leading the discussions for the United States is Brian Hook, Senior Policy Advisor to Secretary of State Tillerson and State Department Director of Policy Planning Staff. Earlier this week, Hook met with the diplomatic corps at Meridian International Center in Washington, DC to elaborate on the Iran negotiations as well as the Administration’s America First agenda. 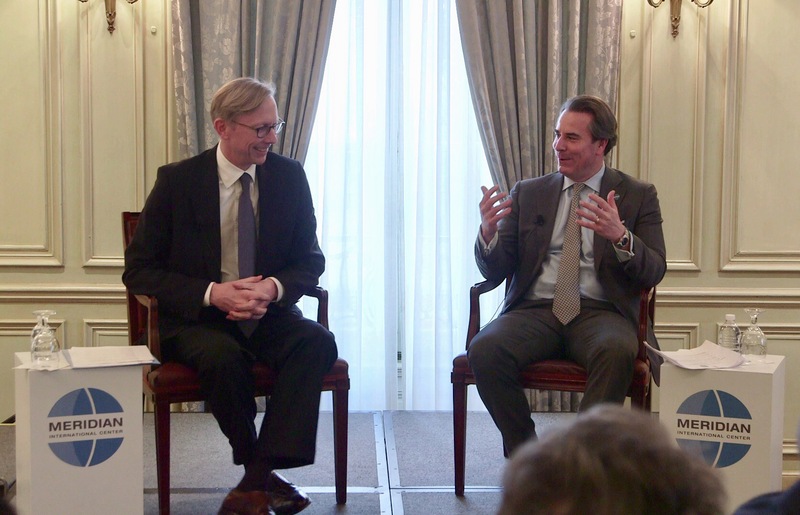 In conversation with Meridian President and CEO Ambassador Stuart Holliday on February 27, Hook briefed over 50 ambassadors and senior members of the diplomatic community. He addressed the most pressing international issues, such as tensions on the Korean peninsula and the crisis in Syria, as well as the function of the Policy Planning Staff at the State Department and the long-term foreign policy vision of the Trump Administration. A consistent theme throughout the program was the importance of strengthening the U.S. relationship with its global allies and partners. Prior to his current role, Hook was running an international strategic consulting firm. He also held a number of senior positions in the Bush Administration, including Assistant Secretary of State for International Organizations and Senior Advisor to the U.S. Ambassador to the United Nations. 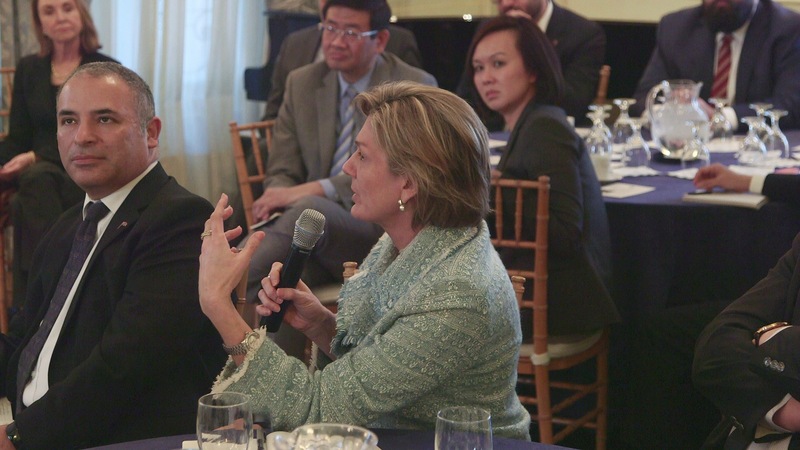 The briefing was held as part of the Insights at Meridian series, a neutral, non-partisan platform for the diplomatic community to exchange perspectives on pressing issues and build relationships with key U.S. government officials. 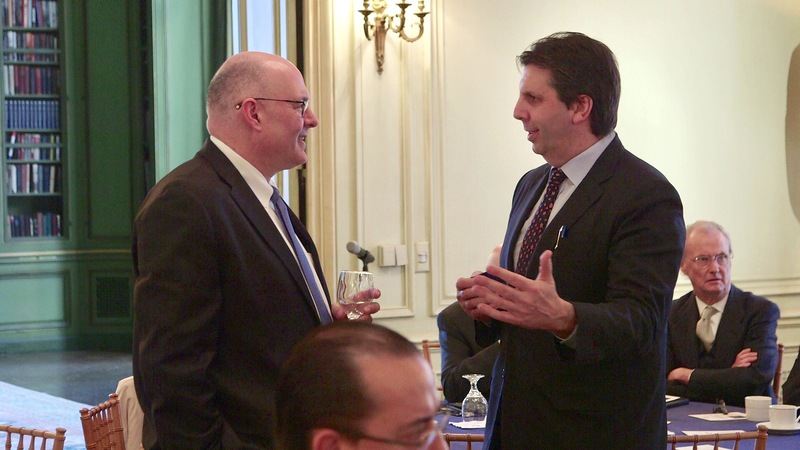 Insights uncovers the political, social and economic context driving government policies, which enhances the ability of the diplomatic corps to effective operate in Washington, DC. Insights is made possible through the generous support of The Walter and Isabel Cutler Endowment for Global Understanding.